Well, it was the best of races, it was the worst of races... How's that for a classic start? Ok, it was neither. It sure beat doing anything else for 72.5 hours, but it was a bit long and hot. This is a problem that has plagued us consistently with the boat; we just get creamated in light air. The slightly older boats with their 155 Gennies just scoop up that much more air to use to sail. If you look at the PHRF boats that tend to do well in light air, you will usually see that they have masthead overlapping jibs. That's just the way it goes. Maskwa really starts to heat it up and come alive around 8 kts of wind speed. Between 5 and 8 we kind of wallow a bit, and below 5 we are forced to really put some heel on the boat to lay her over with no pressure in the sails. Under LMPHRF, Spitfire rates a "63." (So they would owe us 9 seconds per mile raced.) Their 0.902 rating means they will correct to 90.2% of the time they spend on the water. Here is how those 2 handicaps play out head to head. We race against Spitfire all the time; we pretty much know if we should be passing them or yielding to them. Let us suppose a good 40 mile race; we race across to our destination, and Maskwa and Spitfire finish at exactly the same time. There is no doubt, there is room for more than 1 boat in the finish line, it does happen. 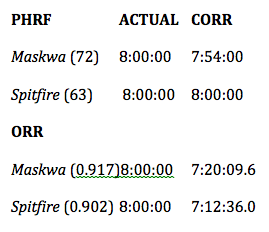 So, in the PHRF scored race, you can see how Maskwa would have won by 6 minutes. In the ORR scored race, you can see how Spitfire would have won by over 7.5 minutes. Same race, two different scoring methods. Now, PHRF also has a Time Over Time scoring system that can be used as opposed to a Time Over Distance system, but you get the idea. One of the problems is that it scores you over total sail area available, and we have a massive spinnaker, whereas Spitfire has a little fractional chute. 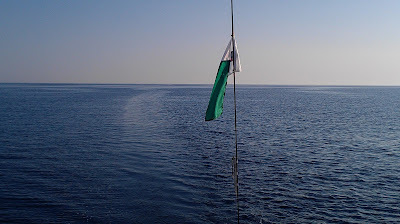 When we are going downwind, we have quite a bit more sail area. 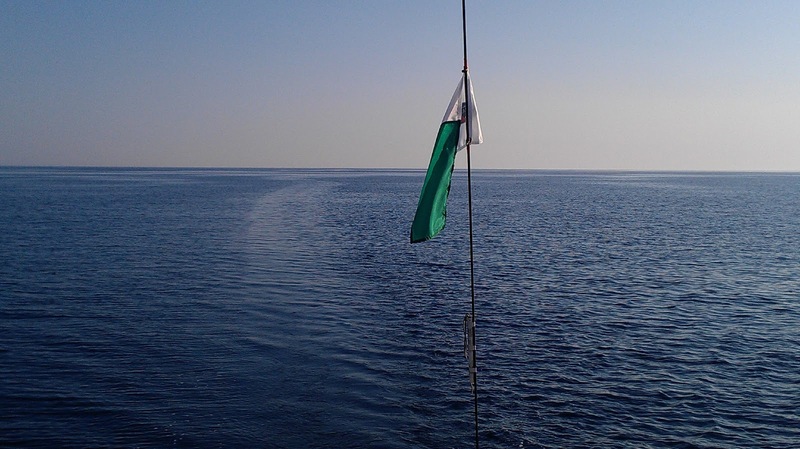 When we go upwind, however, Spitfire does lose some sail area, but Maskwa loses quite a bit more. Another consideration that was brought to my attention some time ago was that ORR also bases a high percentage of their handicap 'weight' on having 20 kts of wind over a large section of course. Every handicap system has a failure or three. One Design racing seems like the most simple, but even then they have to ok sail purchases, design changes are not permitted, etc, and people still cheat! How lame is that? So we have to live with what we are given, we have to race the wind we have, not the wind we want. 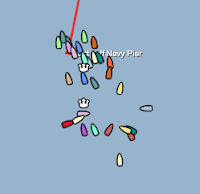 And this was certainly a race where we wanted more wind! I'll end part #1 here, and come back with some of the fun and shenanigans we had on our 72 hour, 23 minute, 27 second journey.